When it comes to the big award shows, the Golden Globes can often predict Oscar winners, and as the nominations for the 2015 Academy Awards were announced on Thursday morning, that became even more clear. Out of the five Best Actress nominees from the Globes, four were the same in the Performance by an Actress in a Leading Role category at the Oscars, making it very possible for the same outcome to happen at both. For the past few years, this category has been aligned across the two shows — Cate Blanchett for Blue Jasmine, Jennifer Lawrence for Silver Linings Playbook, and Meryl Streep for The Iron Lady — but there's a chance that could change. The 2015 nominees are Marion Cotillard in Two Days, One Night, Felicity Jones in The Theory of Everything, Julianne Moore in Still Alice, Rosamund Pike in Gone Girl, and Reese Witherspoon in Wild. Cotillard is the only nominee who wasn't in the Globes category, too, and she replaces Jennifer Aniston in Cake. 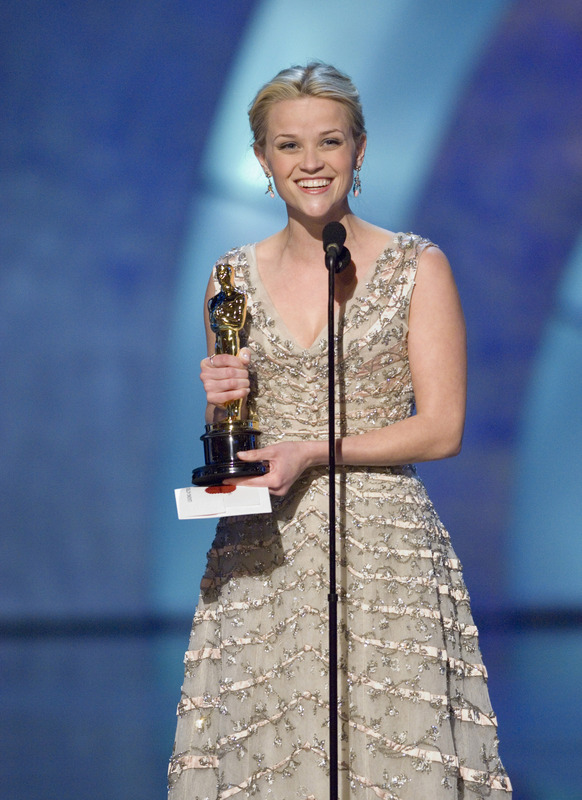 Witherspoon won in 2005 for Walk the Line, which is one more award than Moore (the Globes winner) who has been nominated for four Oscars but never won. There's also a chance that newcomers Jones or Pike could take home the statue for The Theory of Everything and Gone Girl, respectively, or that Cotillard could sneak up and win the category. No matter who takes home the prize, these fantastic strong roles for women are all worth recognizing, and hopefully the Oscars will be feminist like the Golden Globes this year. Now, let's break down who is most likely to win the big award at the 2015 Academy Awards. After taking home the Golden Globe for Still Alice, Moore's odds increased greatly. The story about a middle-aged woman with early-onset Alzheimer's is a powerful one, and the Academy has always loved Moore. With that being said, she has been nominated four times and never took home a trophy, so there's a chance it could fall to another nominee and break the Golden Globes and Oscar winner ties that we've seen over the past few years. Portraying Cheryl Strayed was no easy feat for Witherspoon, and her incredible work in Wild makes her a frontrunner in this category. Seeing her transform into the role throughout the strenuous 1100-mile journey shocked me constantly, and it's unlike anything she has done before. Could the Academy have a soft spot for Witherspoon, too? Though she has only been nominated once for an Oscar before, she won it in a year when the odds were stacked against her. Back in 2004 when she won for Walk the Line, she was against Felicity Huffman in Transamerica, Charlize Theron in North Country, Keira Knightley in Pride & Prejudice, and Judi Dench in Ms. Henderson Presents. Pike may not be a newcomer to acting, but Gone Girl was certainly her breakout role. Playing the conniving, manipulative, and sociopathic Amy Dunne was already difficult because of the cult following for the novel, but Pike more than delivered. She completely embodied the character and gave a hell of a performance, chilling me to the bone. I think that the Academy will likely go with Witherspoon or Moore as veterans, but if they pick a newcomer to the category, I'm hoping it will be Pike. Similarly to Pike, Jones is not a new actress, but The Theory of Everything was also a breakout role for her. She portrayed Stephen Hawking's wife, Jane Wilde, with the right balance of emotion and strength throughout his difficult journey, making Jane's story just as interesting and captivating as Stephen's. I don't think this is her year for the win with such strong opponents, but she definitely deserves the recognition. Jones is one to watch, and I can't wait to see what she does next. Even though she wasn't nominated for a Golden Globe this year, Cotillard could easily take home the Oscar for Two Days, One Night. I can't speak to the film's strengths personally since I did not see it, but there's something enigmatic about Cotillard that just draws you in, no matter what character she's playing. She won an Oscar for La Vie en Rose in 2007 (the same year that she won the Golden Globe, of course) and I wouldn't be surprised if she snuck up on the rest of the nominees and took this statue home. With that being said, my top two contenders are still Witherspoon and Moore.